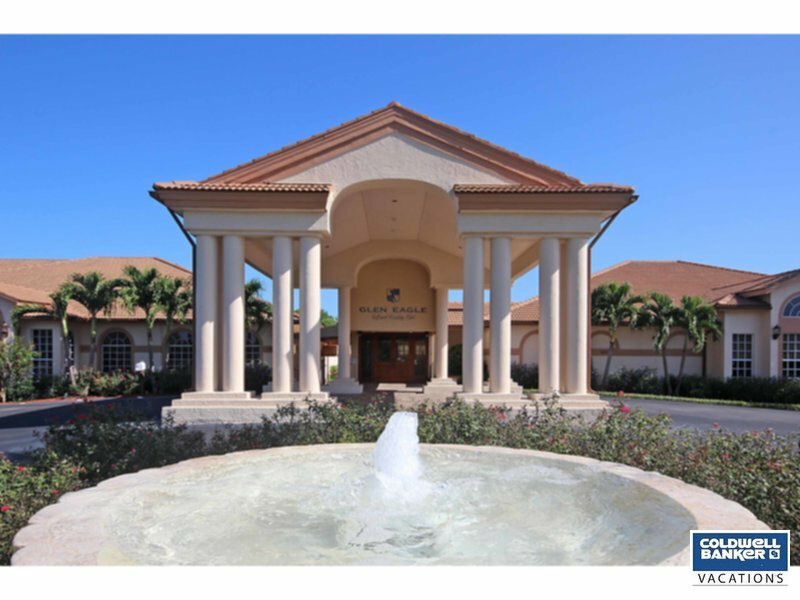 *MARCH 2019 AVAILABLE* Welcome to your vacation villa at Glen Eagle Golf and Country Club, one of Naples most desirable and conveniently located gated golf communities. This bright, comfortably furnished home offer 3 bedrooms plus a Den, 2.5 baths and an attached 2 car garage. The living room features tiled floors, volume ceilings and sliders opening onto a screened patio overlooking landscaped grounds. The eat-in kitchen is fully equipped with all housewares and the formal dining area will accommodate 6. A full-size washer and dryer is inside the unit for your convenience. The sparkling heated pool is just steps away from your doorstep and the remodeled clubhouse offers a pro-shop, indoor and outdoor dining, card rooms, library and more. Also, a new state-of-the-art fitness center is on site. Just minutes away are the white-sand beaches of the Gulf of Mexico and the world class shops and restaurants on 5th Avenue South. Come, get away from the cold up north and enjoy the Glen Eagle Golf and Country Club resort lifestyle.